Owning an unlocked phone means that if you travel to another country that offers service for unlocked phones, you can buy a SIM card and service, and you will have cell phone use in that country. When you leave, you can switch your old SIM card back in to resume service with Tracfone. Tracfone is well known for not allowing their phones to be unlocked, but because of FCC rules, and a ruling against Tracfone, they are required to unlock phones from after a certain date, offer a credit towards an exchange, or offer a partial cash refund for older devices. We've got all the information you need about unlocking your Tracfone device. We will start with the requirements, including who can unlock their phone, and then give a step by step guide. There are a lot of requirements, but the key points are that you need to have your phone active for 12 months with Tracfone, it needs to be a newer phone from after Feb 11, 2014, and you can only unlock a phone once every 12 months. While we haven't confirmed this yet, it is likely that only GSM smartphones are able to be unlocked. Let us know your experiences in the comments. If you're phone is eligible for unlocking, you can continue with our guide to unlocking it. Here is our step by step guide to unlocking your Tracfone cell phone. Be aware that not all Tracfone devices can be unlocked, many of their older phones are not eligible. 1. 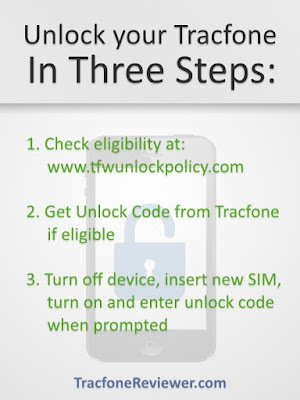 Go to www.tfwunlockpolicy.com and enter your phone number at the bottom of the page. You can also call 1-888-442-5102 during normal business hours. We tested a Motorola EX 431G Tracfone prepaid phone. It met the requirements to be unlocked, but because it is an old phone, it can't be unlocked. So Tracfone offered a $5 cash refund. To get the cash refund, you have to send the phone to Tracfone, and you lose any remaining airtime on the device. We also tested an LG Ultimate 2, which is an Android smartphone. This phone also could not be unlocked, and Tracfone offered a $15 cash refund. 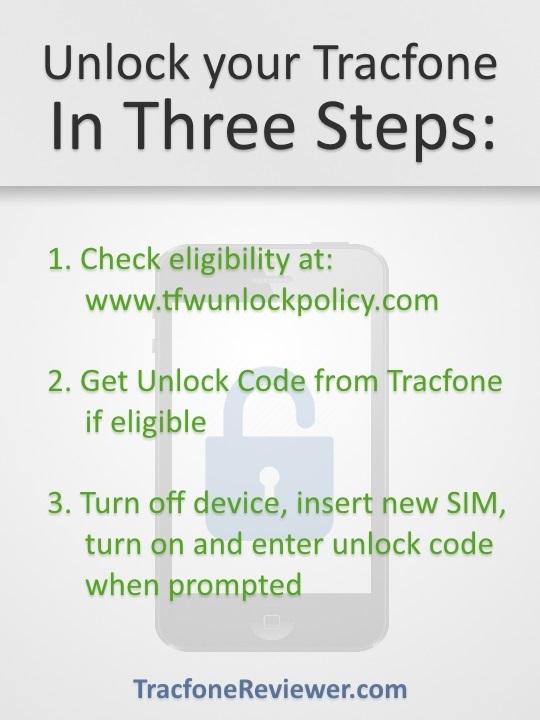 3, Once you get the unlock code from Tracfone, you can purchase a SIM card from another carrier, power off your phone, switch the SIM cards, and turn it back on. You should get a notification that your phone is locked, but there should be a place for you to enter your unlock code. After the code is entered your phone will be able to use the new SIM card. You can always switch SIM cards whenever you like, just remember to turn your phone off and back on. And that is all it takes to unlock a Tracfone prepaid device. It is a fairly easy process, if your phone is eligible. Going through the process of unlocking a Tracfone device doesn't seem worthwhile in most cases with the huge number of unlocked devices available on the market at very low prices. Amazon, eBay and many other online retailers have plenty of unlocked phones, and if you buy older models, or refurbished phones, you can often get a great deal. Check out our list of the Best Unlocked Phones for Tracfone to get some ideas about the great options already available. 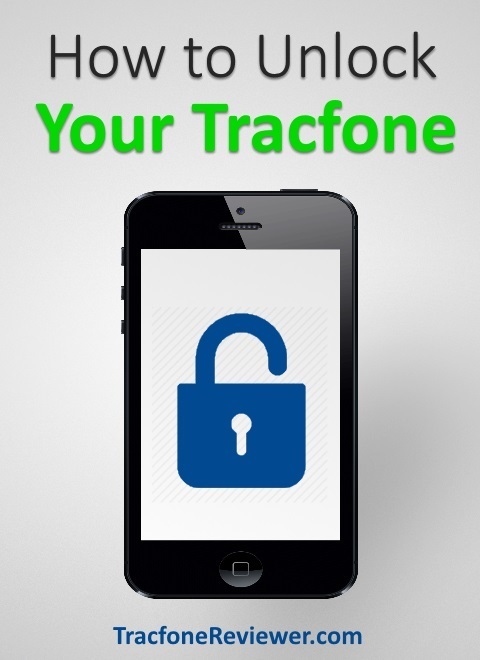 If you have an unlocked phone, you can activate it with Tracfone BYOP. Then, if you travel to another country and need to use cell phone service, simply power off the phone, switch the SIM cards, and you are ready to use your phone in the new country. Switch the SIM cards back when you return to the US. We hope this information has been helpful. Leave a comment below with any questions or thoughts, and also share your experiences. We are also on Facebook, with a large community who help answer questions, share news and much more. 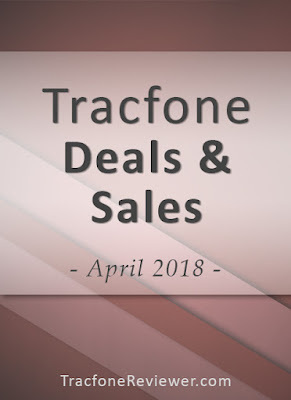 See our last post about the Best Tracfone Deals, Discounts and Sales including several recent smartphones with airtime bundles. The next Generation in the Motorola Moto G line is here now and may also be coming to Tracfone in the near future. UPDATE: The Moto G6 is now available directly from Tracfone. Visit our Tracfone Moto G6 Review to learn more and find out where to buy with airtime bundle. 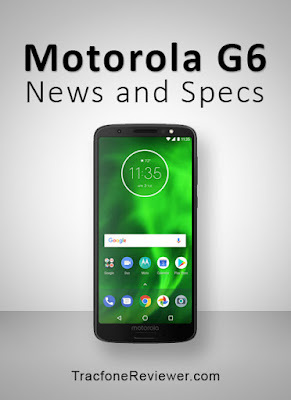 Motorola announced the Moto G6 (and several variants) on April 19th, 2018. It is the newest phone in the Moto G lineup which is well known for offering great smartphone features at an affordable price. The G6 has a 5.7" full HD touchscreen, 1.8 Ghz Octa-core processor, Dual rear camera, and runs Android 8.0 Oreo. It also comes with 3 GB RAM and 32 GB internal storage. Many of the past Moto G versions, such as the Moto G4 and Moto G5, have been very popular with the Tracfone BYOP program because they offer great features at a reasonable price. It is rumored that the Moto G6 will also be released directly from Tracfone, which would also be a great option for Tracfone customers. We will share additional information on this as we learn more. One of the most notable specs is the large, 18:9 ratio full HD touchscreen. The previous generation, the Moto G5, had only a 5.2" screen, but the new Moto G6 bumps that up to 5.7". The dual rear camera is another feature usually seen in much more expensive devices and allows for selective focus in portrait mode for a blurry background. The Moto G6 is fully compatible with both GSM and CDMA carriers which is great for the Tracfone BYOP program. Motorola is also releasing two variants, the Moto G6 Play and Moto G6 Plus. The G6 Play will have the same size screen, slightly downgraded internal specs, a larger battery, and retail for $199. The G6 Play comes with many of the same features in the G6, such as 3 GB RAM, 32 GB storage, and Android Oreo. The Play also has a 5.7" screen, but at a lower resolution. The processor in the Play is also not as powerful, but the phone does have a larger battery compared to the G6. For those that don't need the higher performance from the G6, the Play variant will offer almost all of the same features at a lower price. Unfortunately the Moto G6 Play appears to be only compatible with GSM networks. The Moto G6 Plus is not expected to be released in the North American market, and only released internationally. But it is still possible to purchase the international version and use it with any GSM carrier through Tracfone. If you are looking for high performance and don't mind spending a little more, the Moto G6 Plus has more RAM, storage and a faster processor than the G6. Only the international version of the G6 Plus is available, and it is only compatible with GSM carriers. We will continue to update this as we gather more details, especially any news about Tracfone releasing their own Moto G6 version. If Tracfone does release the G6, it would certainly jump into our List of the Best Tracfone Smartphones. Keep up with the latest news and info on our Facebook page. 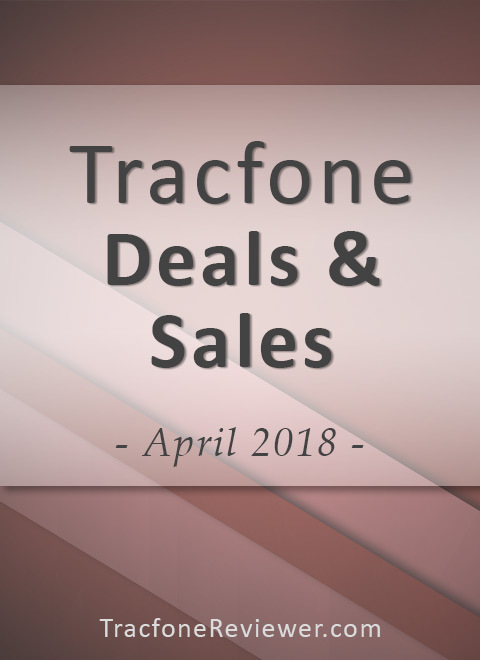 Also check out the recent Deals, Discounts and Sales on Tracfone. 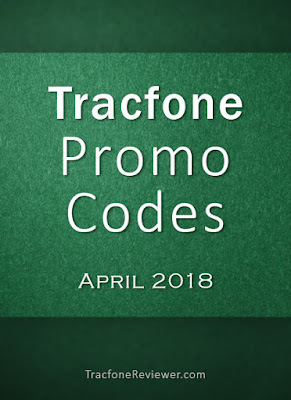 List of Tracfone Deals, Discounts and Sales on Cell Phones and More! Tracfone offers a variety of phones through many different retail sources, both online and regular stores. Sometimes it is hard to know where to find the best price for the phone you want. But that is what we have here for you today! New deals and sales are happening all the time and we share the best from around the web in this list updated for April 2018. We have included both Tracfone smartphones available at great prices (and with great airtime bundles) as well as unlocked phones at sale prices that can be used on the BYOP program. If you are not sure which phones are the newest from Tracfone, see our Latest List of Tracfone Cell Phones (2018). Buying a new phone with an airtime bundle is a great way to save, and there are several deals like that listed below. Additionally, Tracfone appears to be tripling many airtime bundle activations. Learn more in our Updated Changes to Tracfone Triple Minutes. Now let's get to the deals list. The Galaxy J7 Sky Pro has similar features to the J3 Luna Pro, but a larger 5.5" screen which is more convenient for reading, watching videos and most other activities. It also has 16 GB internal memory, runs Android 6.0.1 and has 2 GB RAM. The Galaxy J7 Sky Pro was released in 2017 but still is a great option especially now that it is available for under $100 with airtime bundles. View our Review of the Samsung Galaxy J7 Sky Pro to learn more about the specs and features. The Fiesta 2 is another device released in 2017 that still has great features for the price. It comes with a 5.5" touchscreen, Android 7.0, 16 GB storage and 2 GB RAM. The Fiesta 2 also has a 13 MP camera. See more specs and features in our LG Fiesta 2 Review. Released by Tracfone in 2018 (although available through other carriers in 2017) the LG Stylo 3 has a large, 5.7" screen, 16 GB storage, 2 GB RAM and runs Android 7.0. It is fairly similar to the LG Rebel 3 and LG Fiesta 2 on many of the specs other than the larger screen, which some users prefer. Learn more in our LG Stylo 3 Review. We usually include some great deals on unlocked smartphones that can be used with Tracfone BYOP. However, we wanted to share some news about upcoming phones. The ever-popular Moto G budget lineup from Motorola (now owned by Lenovo) will be releasing the new Moto G6, Moto G6 Play and Moto G6 Plus in the next few months. These phones generally pack great features at a friendly price. Expect prices to range from $199 to $350 depending on which version and how much storage the phone comes with. The Moto G line of phones are usually great options to use with Tracfone BYOP because they can be used with either GSM or CDMA cell towers. Look for more information about these new unlocked phones in the near future. That's it for our list of Tracfone deals. let us know if we missed a good one in the comment section below. If you are unsure about switching to a new Tracfone device read up on our handy Guide to Activating/Transferring a New Tracfone Smartphone. And our 4 Ways to Check your Tracfone Airtime may give you a faster and easier way to track your minutes. Join us on Facebook for the latest news and posts. Every month we post the latest promotional codes to use with Tracfone for free minutes. There is nothing to click, no redirects, just a list of codes for our readers. These codes are for use with Tracfone when adding a new airtime card either online, on your phone, or over the phone. There are promotional codes for both regular airtime cards and smartphone only cards. Some codes are single use, or meant for certain types of phones or geographical areas, so it is always helpful to have a backup code to try. 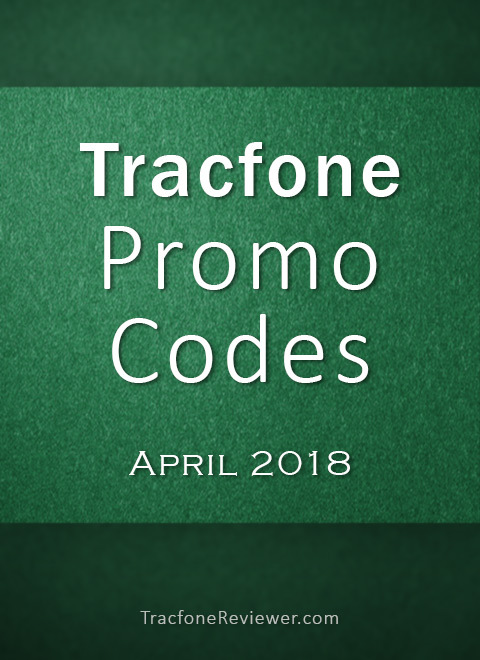 The list below are the newest codes for April 2018, and we also have a more comprehensive list on our main Tracfone Promo Code page. Looking for a way to keep track of your minutes? See our Four Ways to Check our Airtime on a Smartphone for some tips! Let's get tot he codes. We hope these codes worked, and let us know in the comments below which one you tried. Keep up with the Latest Phones from Tracfone including the LG Rebel 3 and LG Stylo 3 which were both released recently. Also visit our post on the Best Deals and Discounts for Tracfone to see where you can find the lowest priced devices. And join us on Facebook for the latest updates, news and to get in contact if you have specific questions.